Tonight, after just three months, an exciting chapter of not just my life, but yours too, is over. 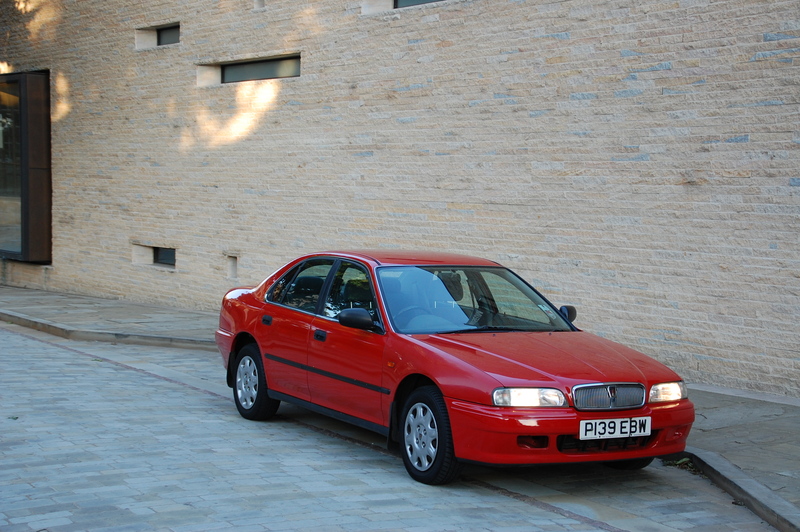 The Rover 620Si, also known as the Red Rocket, that vanquished the arduous Banger Does Britain challenge, has been sold. If you follow my Twitter feed you’ll remember that last Saturday I finally de-stickered it, consigning the Banger Does Britain lettering to the wheelie bin. It then received a good clean, bit of a polish and was sat proudly, outside the house, waiting to attract the attention of its new owner. After four days of a non-ringing phone, tonight a father and son combination, in search of some inexpensive wheels to get them out of a personal transportation conundrum, had their eyes caught. A chat about the Rover, the reliability it displayed during its 24 hour marathon and a quick test drive round the block sold it. Back at the house to fill out the V5, in the company of half of my literature collection (which generated open-mouthed stares and repeated utterances “bloody hell”) the deal was sealed when the cash was handed over. I don’t normally get sentimental about a car going to a new owner, but that particular Rover will always hold a special place in my life. If you spot a familiar looking red saloon, patrolling the streets of Billinghay in southern Lincolnshire, you’ll know where you’ve seen it before. Give it a knowing salute.